No need to replace your stained upholstered furniture. Let us make it look like new! Clean upholstered furniture looks and feels great. But, family life as well as party life make it difficult to keep stains away! 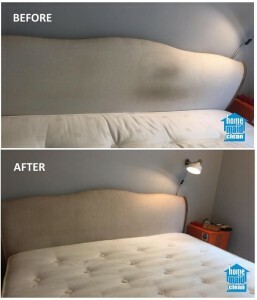 Get rid of stains and dirt on your upholstered furniture and refresh fabric color using Home Maid Clean professional upholstery cleaning services. We use powerful Prochem steam equipment, the best professional detergents and a strict cleaning process to completely remove stains and dirt, leaving only fresh-smelling fabric. All by-products of the cleaning process are rinsed away. What stains can we treat? Using off-the-shelf domestic standard cleaning agents is not recommended for delicate fabrics with vivid colors – you may damage both the fabric integrity and the colors. 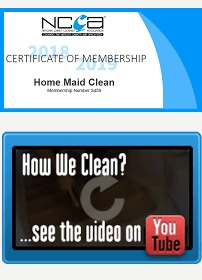 Trust Home Maid Clean experienced and Prochem-certified upholstery cleaners to remove all kinds of stains from your furniture, carefully selecting just the right cleaning method and detergents. We can treat your upholstery for flea but recommend that a certified pest controller treated all other areas of your home (we can supply contact details on request). To ensure the deepest possible clean we’ll continue to examine every item for remaining blemishes, removing them systematically using standard methods. On rare occasions, additional specialist skills may be required. Treated fabric upholstery dries within approximately two hours, although precise figures depend on the exact fabric and the extent of ventilation in your premises. After cleaning your upholstery, we always apply Scotchgard stain protection. This protective thin layer reinstates the fabrics’ protective properties (so liquids do not soak in that quickly), mitigating the need for extensive maintenance later. Thus your couch, sofa lounge and chairs will remain as long as possible in the state in which they were purchased. The application of stain protection is best carried out following the use of steam as a cleaning agent. What upholstered furniture do we clean? We clean couches, sofas, armchairs, dining chairs, office chairs, foot stools, ottomans, chaises, love seats, recliners, bed settees, buffet seats, bar seats, specialist upholstery (including leather) and car upholstery (excluding ceiling upholstery). What fabric can we clean? We clean any fabric, on any upholstered piece of furniture. We specialise in cleaning micro-fibre, silk, linen cotton, suede and wool. Whatever the fabric – we know how to clean it safely and expertly. Our specially trained technicians are experts in the art of cleaning leather upholstery. Inspection and assessment of soiling level and earlier damage. We assess the type of leather, levels of soiling and any possible previous damage. Cleaning and correction of deep-seated stains. 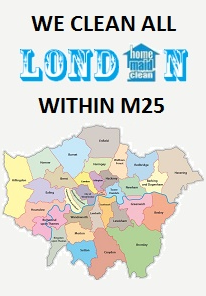 We apply premium cleaning solutions to ensure the removal of ingrained soils and stains. Any remaining soil and grease are thoroughly removed. We apply a premium leather and conditioning agent to your furnishings. This ensure the correct moisture balance, helps prevent re-soiling and leaves your leather supple. 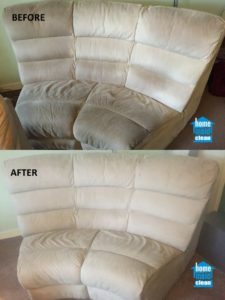 We recommend to plan the cleaning of your upholstery together with your spring cleaning.